With a plethora of devices trying to crowd into the space dominated by the iPhone; do-it-all multimedia devices that are great for watching video, listening to music and easy to use. the HTC Touch Cruise indeed makes a comfortable niche for itself. This device consists of large 2.8 inch TFT screen with a run-of-the-mill QVGA resolution. It has a high-speed HSDPA, Wi-Fi, and GPS in its 15.5mm frame. It also includes a 400 MHz processor with 128 MB RAM, a 3.15 Mgpxauto-focus camera and a secondary VGA camera for video calling. 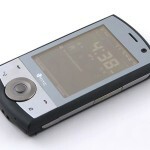 It runs on the latest windows mobile 6.0 Professional OS, and includes Pocket Office, spreadsheets and presentations. Another feature is the MP3 player and FM radio for video playback support. The Cruise is 4.3 inches high and 2.2 inches wide , 0.6 inch deep and weighs 4.5 ounces. It is on the thick erside, and will make for a tight fit in a pants pocket. However the device is remarkably light and feels compact in the hands. There’s also a soft-touch finish on the back. One of the main attractions of the HTC Touch Cruise is the integrated GPS and TomTom navigation software. This application is pretty easy to use. It also has an integrated Wi-Fi and 3G support. The 2.8-inch touch screen has a 65,000-color output and 320×240-pixel resolution. Text and images look sharp and vibrant, and the touch screen is quite responsive. But composing text messages and e-mails.is not very easy. Rather than the size of the small buttons, the more frustrating and time-consuming issue was having to tap multiple times to get the right letter. The HTC Touch Cruise has however made life much easier now.The navigation software for example never lets you get lost. This phone now comes with a car kit that helps you get more out of your smartphone while travelling. You can put the Touch Cruise in the kit holder in your car and it will automatically change to NaviPanel mode. The NaviPanel offers a convenient one-touch interface to all the travel tools you need like GPS navigation shortcuts. It even helps you locate services or avoid traffic jams on the way. 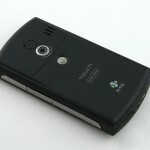 It also uses the HTC Footprints that is remarkable and can record every picture in vivid setail. 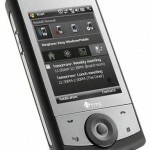 The HTC Touch Cruise is one of the best Windows Mobile Pro devices to hit the shelves recently. It features the new version of HTC’s TouchFLO It is also comparably lighter and thinner and much better looking than some of the other devices in the segment. There is no hardware keypad, video playback capabilities are inadequate and the paint starts to peel off rather quickly.The display image quality is also a bit disappointing and is practically illegible under direct sunlight.It also has a high price tag.